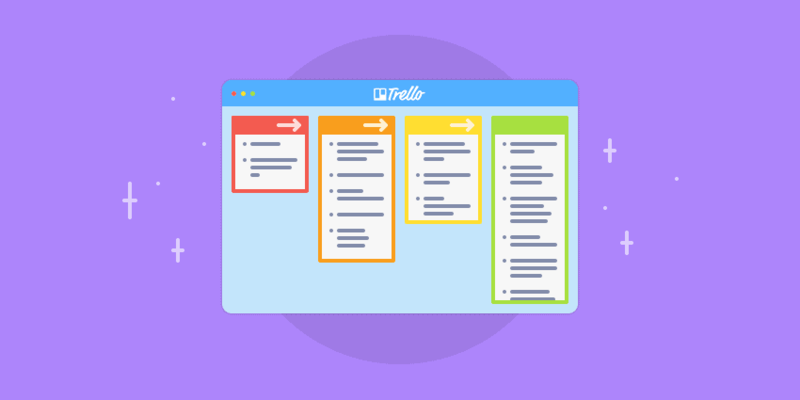 Trello is a fantastic project management tool (in fact, we wrote an entire guide to project management with Trello). But it’s missing one big thing: time tracking. There’s no way to tell how much time you spend on any given card. Fortunately, tracking your time in Trello is possible with the help of an integrated app. 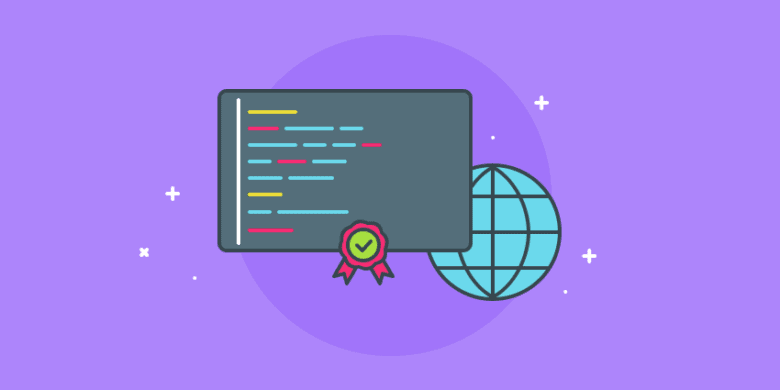 In this post, we’ll show you how to set up Hubstaff to accurately track time on your Trello projects. How to integrate the tools, create and assign tasks, and track time to them. It’s a breeze once you get going. We’ll even share other similar tools so you can try the one that suits you. By the time you’re done reading, you’ll be a Trello time tracking pro. 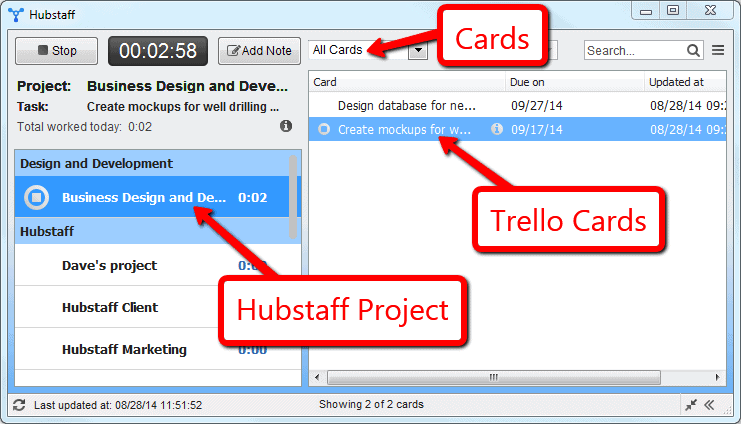 You can start using Hubstaff’s built-in Trello timer in just a few clicks. 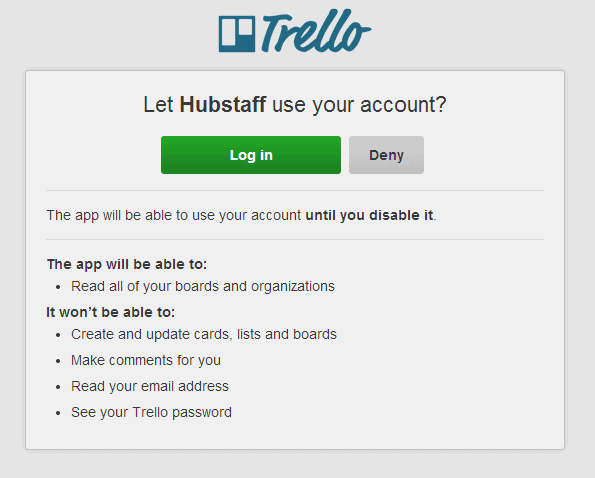 Sign into your Hubstaff account, then click Integrations in the left-hand menu. From there, click + Add integration and select Trello. We’ve taken all of the hard parts of time tracking in Trello and automated them. Hubstaff automatically imports all of your users and cards. All you need to do is link them to your Hubstaff account with a couple clicks. Users will now see the cards they’ve been assigned in the Hubstaff web, mobile or desktop app. Everyone knows exactly what to work on, and when it’s due. Just select what you’re working on and start the timer to log time to that particular card. You can even filter your cards by Trello list, which is great for teams that use Trello for a wide variety of tasks. You can also use our Chrome extension to track time in Trello. After installing the extension, you’ll see a Start Timer button on cards in Trello. Hit the button to start tracking your time. It really doesn’t get much easier than that. And, of course, you’ll get all the powerful reporting features you’re used to with Hubstaff. Optional screenshots, activity measurements, reporting, manual time editing, app, and URL tracking, and all the rest. You can invoice clients for the work you’ve done on Trello cards or pay contractors based on the amount of time they’ve spent working on specific tasks. This is especially helpful for teams that use Trello for marketing and support teams. You can see how much time each team member, freelancer, or contractor spends on a project, and create better timelines and estimates for the future. Efficiencies may start to emerge, helping you to improve workflows for better profitability and productivity. 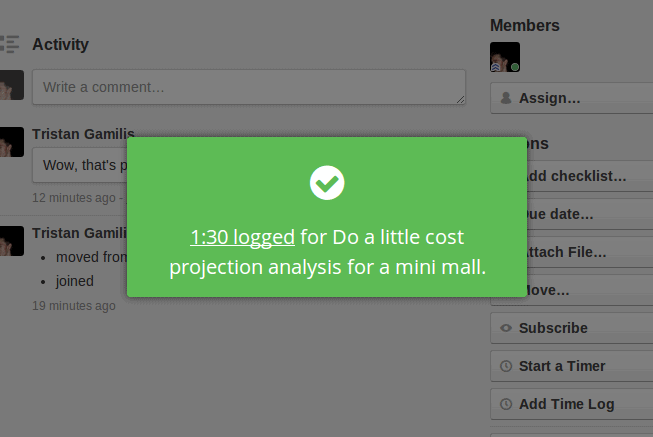 You can even set budgets per project, so that you’ll never go over. You’ll get alerts as your team approaches set amounts, and time tracking will automatically stop once budgets are reached. This allows you to make changes or talk to clients before proceeding. Christine is a graphic designer based in Nashville. She recently hired a team to do WordPress development for her designs. She needed a way to easily communicate with the team, as well as understand how much they were working. Since she had no current project management or task system, we suggested Trello. Its simplicity and low price tag (free) made it a no-brainer. She loaded all of the development tasks into a Trello board, separating each client into a list and arranging the cards in order of priority. She then assigned the WordPress team to the top-priority tasks. The development team could tell exactly which tasks to work on, because the cards were pushed directly to their Hubstaff desktop app. They simply tracked time to these Trello cards as they were working. At the end of each week, Christine could see the exact amount of time that was spent on each task. She could comment in Trello with any questions that she had and had close control over the tasks being worked on. She could also see screenshots and activity levels for all of the work completed, giving her a quick glimpse of projects as they progress. This entire workflow was new to her, but she loved it. She felt like she was in control of her business and was able to get a handle on outsourced tasks for the first time. The combination of Trello and Hubstaff for task management and time tracking is easy to use, effective and lets you work efficiently with a team. There’s really no reason not to give it a shot. Especially with the full-featured free 14-day trial. Of course, there are plenty of other options available when it comes to Trello timers. Check them out. 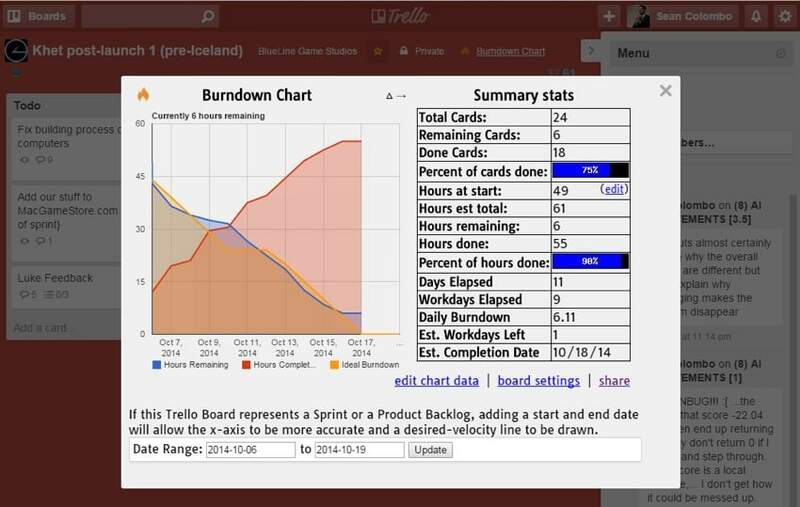 If you use Scrum or agile development, you’re probably familiar with burndown charts. 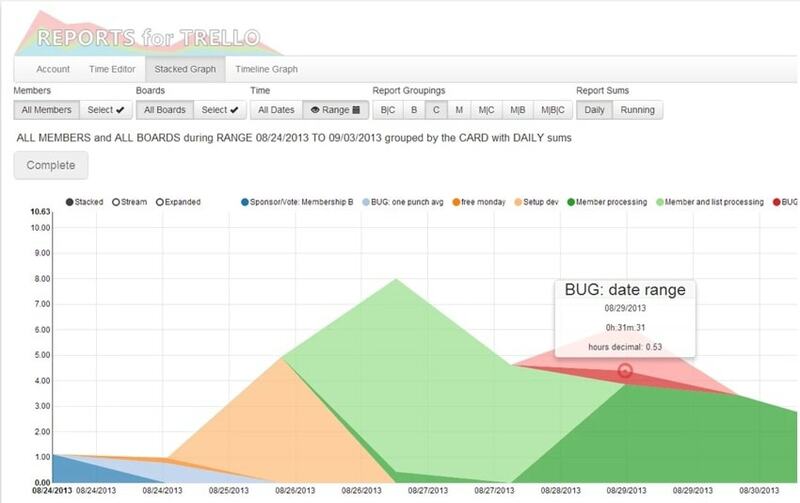 And if you want to create burndown charts for your Trello cards, you can use Burndown for Trello. You can then enter estimates in hours or points for your tasks and see them plotted graphically. The basic version of Burndown timer for Trello is free, but the $4.99/month plan offers additional features like closer integration, burnup charts, and automatic synchronization. Integrating Paydirt with Trello is simple, and you can easily import your entire team from Trello into their time-tracking app. 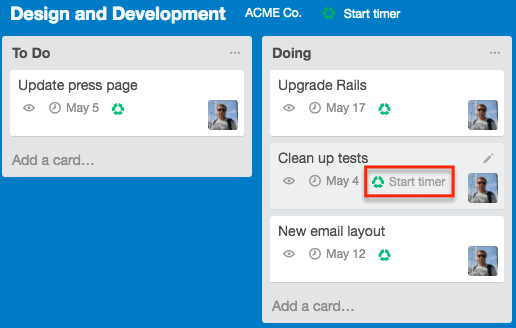 Direct integration with Trello means you can track time right from cards. And its intelligent client assignment system is great for people with multiple clients. Paydirt starts at $8/month for a single user, and goes up to $149/month for up to 20 team members. Built specifically for integration with Trello, Punchtime is a good option for people who do all of their work in lists and cards. There’s no automatic time logging, so you’ll have to enter your time manually. But you can link that time to specific cards in your Trello board. Like Reports for Trello, it’s missing some basic time-tracking functionality (like being able to track time outside of Trello). But if you just want something simple to track time on cards, Punchtime is a solid option. You’ll need $5/month per user. This is a Trello plugin for time tracking, instead of a standalone app that integrates with Trello. Its version of time tracking is very interesting; whenever you add a card to your “Doing” list, it starts tracking time. It can also tell you how long you were a member of a card. You can combine the two and track how long a person was a member of a card while it was in a certain list. While it’s missing a lot of features you’ll find in other time tracking apps, the fact that it’s completely free will appeal to many people. If you just want to see how much time you spent on Trello cards (and nothing else), it’ll do the job. Trello is a fantastic project management tool. Its collaborative abilities, intuitive Kanban layout, and affordable price tag make it one of the best tools out there. When you combine all of that power with time tracking, you get something really powerful. By integrating a time-tracking app with your Trello boards, you can turn Trello into the ultimate project management tool. Ready to get started? Sign up for your free Hubstaff trial now. How do you track time in Trello? Which apps above have you used? And what did we miss? Let us know in the comments below! This post was last published February 2018, and updated February 2019. Madhav is a marketing manager at Hubstaff. He handles our market expansion projects, partnerships & Hubstaff Talent. You can find him championing remote marketing teams on his blog and Twitter. Time Tracking Linux App – What are Your Options?